Project Inspiration - Reading Pocket Pillows / Designs By JuJu Embroidery Blog! This entry was posted on September 13, 2018 by Julie Hesketh. 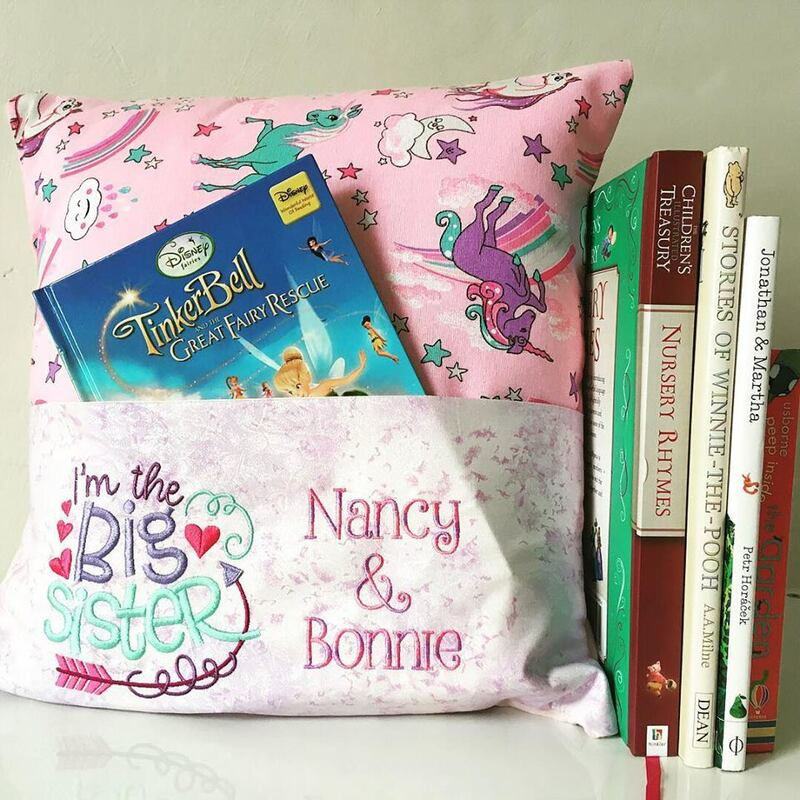 Here at Designs By JuJu, we love giving reading pocket pillows as gifts to little ones! These adorable pillows make the perfect gift for the little ones in your life. 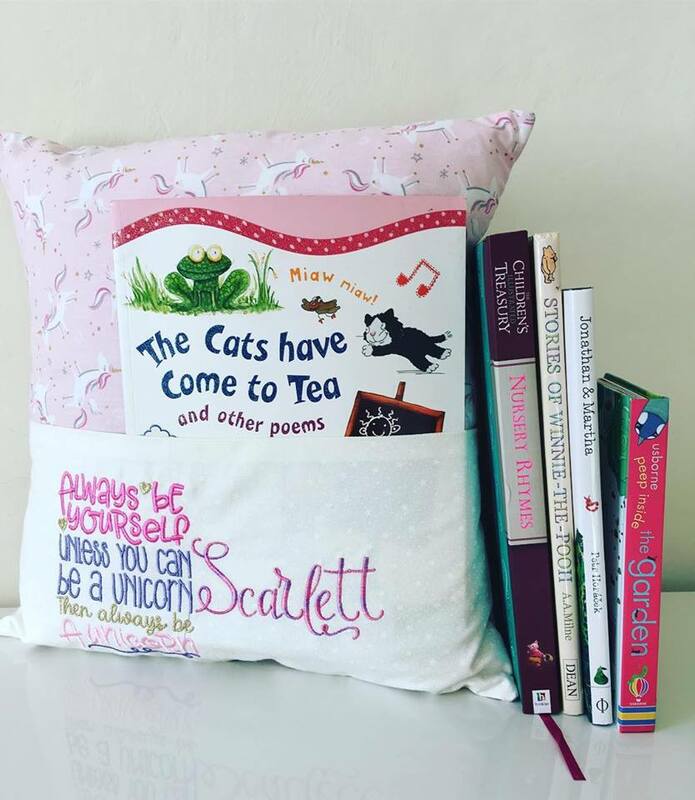 We put together this blog post to show you some of our favorite customer project reading pocket pillows. 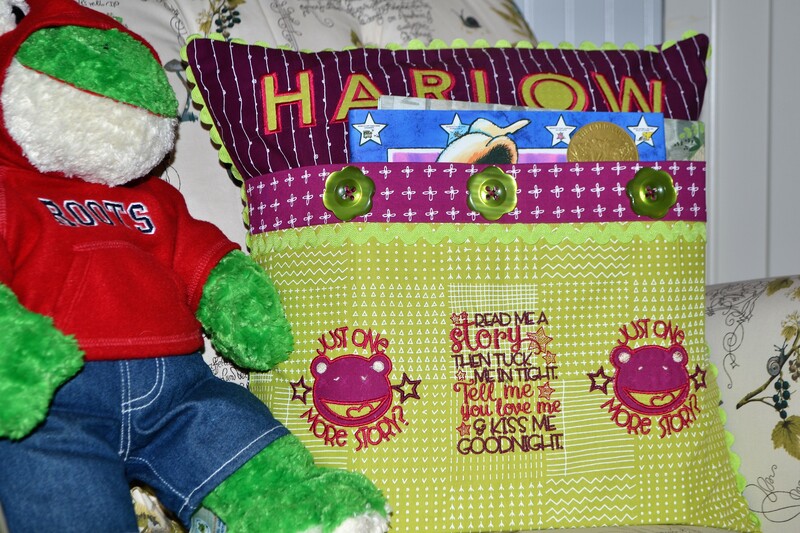 Itsy Bitsy Stitches used our Sibling Word Art Sisters set to make sure everyone knows who this pillow belongs to! :) We think this would also be the perfect gift for a future big sister!! How adorable is this pillow? 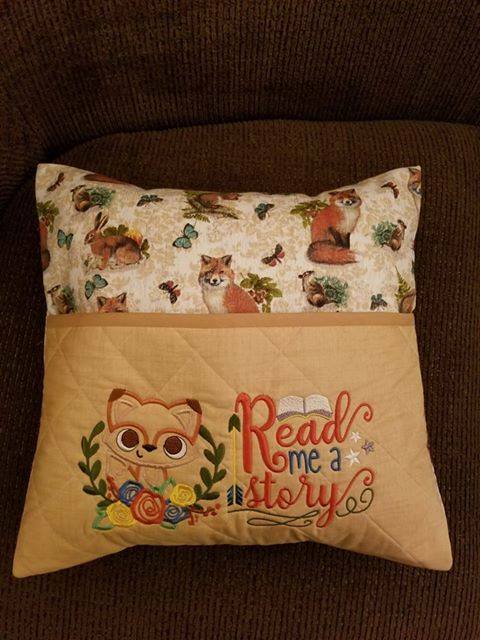 Kim created this adorable pillow for her granddaughter for Christmas using our Story Time Applique and Reading Word Art Set 2! Add in a favorite book and what a great idea for a Christmas gift! 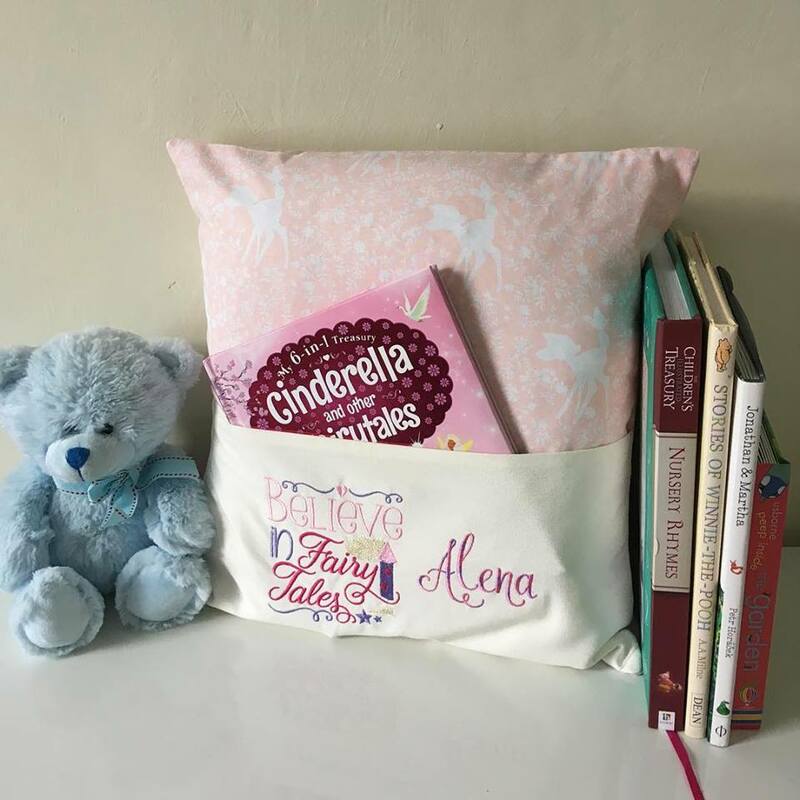 This reading pocket pillow Venus made using our Baby Woodland Laurels set and our Baby Word Art Set 3 is too cute!! We love the print she chose to use on the pillow. Love it! Want to make a Reading Pocket Pillow but not really sure where to start?? 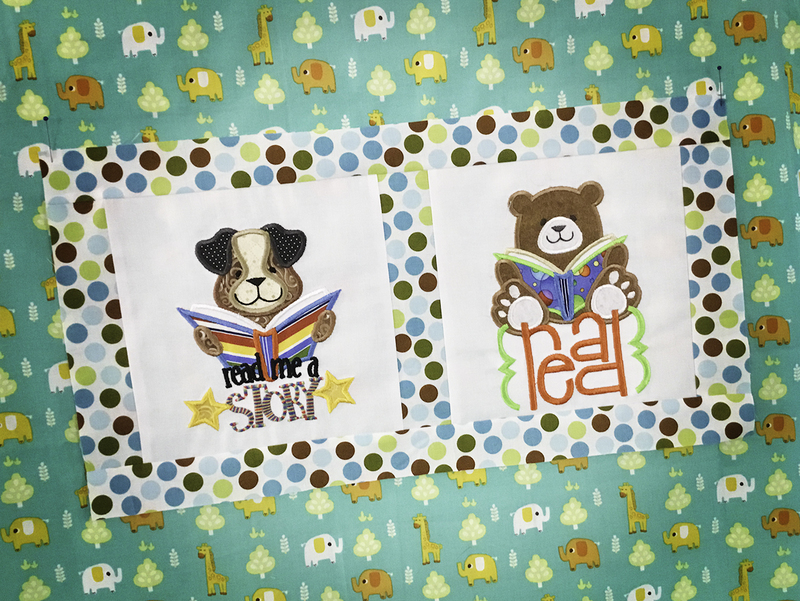 Check out our Reading Pocket Pillow Project Tutorial blog post for step-by-step instructions!